Our newest segment on NU Online Viewpoint will feature our alumni and the achievements they are reaching after completing an online degree. From publishing books to presenting at a conference to advancing in their career, our alumni are leaders in their communities and industries. Here are just a few recent accomplishments. 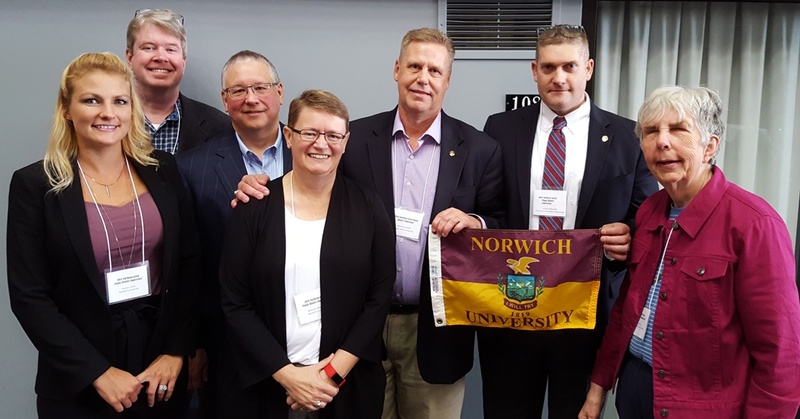 At last week's 53rd Annual Northern Great Plains History Conference, several Norwich University current students, alumni and faculty from the history graduate programs presented papers on topics including, women's history, World War I & II, amphibious warfare, the Marine Corps, and the Sicilian Campaign. Among those in attendance were alumni Melinda Heikkinen M'17, Martha Sloan M'15, Johannes Allert M'11 and Alan Anderson M'09. Faculty members Christopher Rein and Jeremy Maxwell were also participating at the conference. Most notably, Master of Arts in Military History current student, Jessica Colon, won the Society for Military History-Cantigny First Division Museum Award for Outstanding Graduate Student Paper for her paper and presentation titled "Marine Corps Tactics Training in Preparation for Iwo Jima: Superior Training or Just Marines?" The conference was held in Mankato, Minnesota. Conferences like these are great opportunities to present research papers and connect with historians across casts interests. The 2019 conference will be held in Brandon, Manitoba, Canada in late September. Tommell joined Chazen Companies as the Director of Land Surveying in August 2018. Located in the Poughkeepsie, N.Y. office, Tommell will bring his experience in account management, program management, and strategic marketing to the position. In August 2018, Lyda Tesauro was published on the online Small Wars Journal after submitting her course research paper titled, "The Role Al Qaeda Plays in Cyberterrorism." In August, along with two colleagues, Deliz was appointed a member of the newly created Public Service Regulatory Board as announced by the Governor of Puerto Rico, Ricardo Rosselló. He will preside over the board and remain chairman of the Puerto Rico Energy Commission, which becomes the Energy Bureau under the reorganization. As chairman of the Energy Bureau, his decisions will be reviewed before the Court of Appeals and not the Public Service Regulatory board. Gagner recognized as The Rebootcamp Entrepreneur of the Year -- Military Times’ top pick across all branches of the U.S. military. 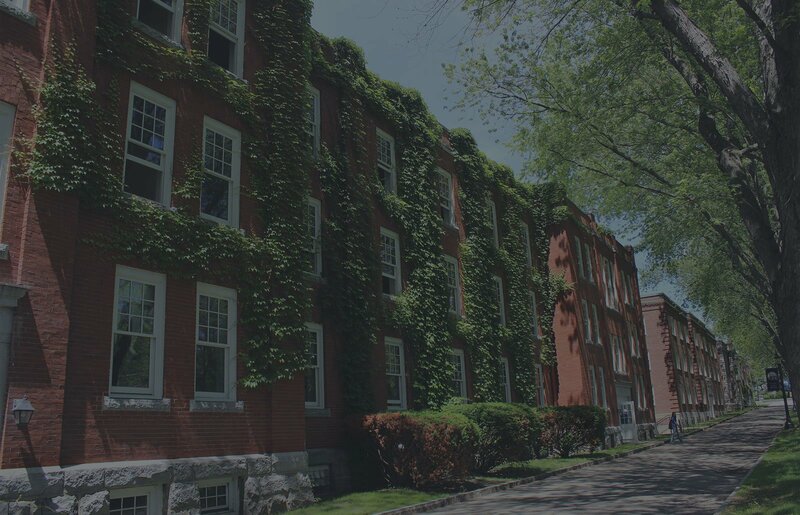 14th Star Brewing Company, Gagner is the co-founder and brewmaster, has partnered with Norwich University to craft each of the bicentennial brews over the past five years. This year’s IPA is named Distinction and will debut at homecoming. Ranstadler, launched his new website RobRanWrites.com, is a retired U.S. Marine and independent military historian who became a freelance writer and editor upon leaving active duty in 2015. He also produces and edits commercial and academic content for clients including War History Online, G.I. Jobs, and Reliving History Magazine. Ranstadler’s historical period of focus is the American Revolutionary War, covering topics from political mores to colonial-era technology, and he is the author of the forthcoming Into the Hornet’s Nest: American Partisans and Irregular Warfare in the Southern Theater of the Revolutionary War, 1775-1781. Would you like to share your accomplishments with us? From job promotions to publications to presentations, submit your story to us.